So, the day we have wanted life to slow down for has arrived, much to our dismay. Tomorrow, Gapers Block will be going on hiatus. 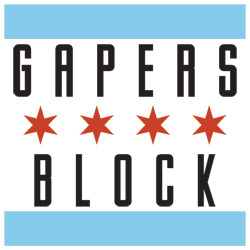 Before this happens, we wanted to share some of our most cherished memories and moments from our time spent writing for Gapers Block's Transmission section. To all of our readers: thank you, thank you, thank you. We are so proud to have shared concert reviews, previews, interviews, festival coverage, and more with you over the years. Here are our thoughts during our final Transmission days. 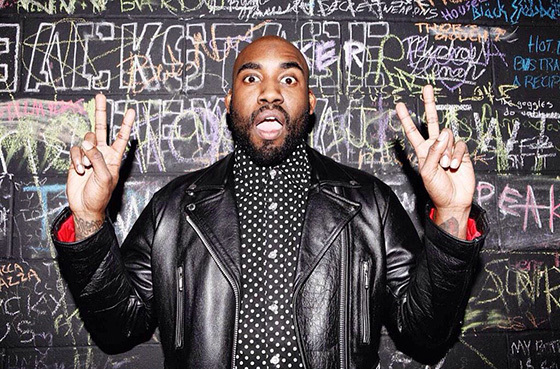 Chicago rapper Clinton Sandifer, who is known to most by his stage name "ShowYouSuck," traces the origins of his rap career ten years ago back to his time at the Illinois Institute of Art in Schaumburg. The connections he made at school landed him a job at a skate shop where he met some kids from Northern Illinois University in Dekalb who started booking him for shows, and through those shows, he met his best friend, who later started Artpentry in Bridgeport with Sandifer's help. "Most of the things I'm around now, I've been there since the beginning, and from all of that, I was able to launch my music," he said. Lately Sandifer, who is now 30, has had the luxury of turning certain down opportunities that don't fit the vision he has for his career, like that time Domino's asked him to star in an ad campaign as a pizza delivery man -- but didn't want to use his name or music in the commercials. It's clear that the things Sandifer has been working on lately are things that he is genuinely excited to do: from playing local shows almost every other week, collaborating with Chicago's Celine Neon for a remix in October, to releasing two EPs in the next few months. The first of the EPs, titled Alf Fan 420 (which is also his current Twitter handle), will be released by Mishka Records on December 28th. I spoke with Sandifer at Filter Cafe in Chicago's Wicker Park neighborhood about pizza and strange Lays chip flavors, writing songs inspired by both his imagination and his real life, sobriety, and that time Wicker Park Fest booked him for the kid's stage because they hadn't actually listened to his music. When you're mulling over your options of how to ring in 2016, there are plenty of spots where you can shout "happy New Year!" that are complemented by stellar music performances. We've rounded up our favorite venues to celebrate the New Year at, which include an electrifying festival, intimate soul shows, and endless rock riffs in a packed concert hall. It's hard to pin down Deerhunter. But with plenty of post-punk bass riffs, shoegaze guitar effects, and garage rock strums that landed critical acclaim for Atlanta, Georgia natives, the band's real signature has been carving out a sound out of noise. The Stony Island Arts Bank (6760 S. Stony Island) is one of those places that might be on your radar -- once a large and beautiful bank building, it lay abandoned from the '80s until fall of 2015, when Theaster Gates and others turned it into a new arts and archive space, where performance areas will co-exist with abundant artistic and historic archives for community and scholarly use. It's open to the public six days a week, but maybe you haven't yet made your way there yet. 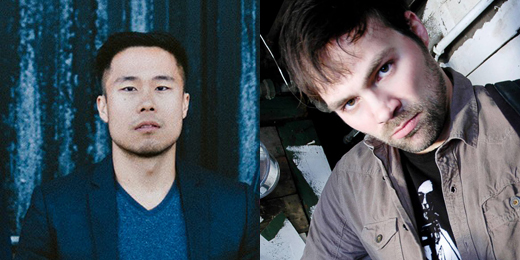 If not, the Rebuild Foundation, the Graham Foundation, and Lampo invite you to check out a FREE concert in the space this Saturday (December 12). James Hoff, a New York-based performer originally from Fort Wayne, Indiana, will debut a new four-channel stereo work for Chicago in the Stony Island Arts Bank at 8 p.m. To date, his work has only been released via two records on the Berlin-based label Pan, and it's very in keeping with that label's stylishly packaged but recklessly experimental aesthetic. Hoff works with malware and computer viruses, injecting them into conventional dance music structures to create disruptions, distortions, and jittering fragmentation to conventional beats, editing and pasting them into song-like sequences to beautifully woozy effect. Sometimes, the kick-snare is sharp enough to keep you moving, but suddenly the viruses start to work their magic, causing the 4/4 beats to melt and drip and puddle at your feet, thrashing around and trying to hoist themselves back up into an upright position. Fans of Autechre, Pan Sonic, and other such rhythmically adventurous electronic music will find a new thrill in Hoff's virus-damaged beatworld. Tickets are free with RSVP. If you want to get there earlier or make a day of it, Hoff will also be hosting a talk at 2:30, also at Stony Island Arts Bank, discussing the history of artists' books and his own artist book collective, Primary Information. Looking for a new spot to enjoy happy hour at tonight along with a stellar soundtrack? Look no further than Chicago's ephemerally-beloved spot, Ada Street, promoter of the brand-new Total Run Time series. Each week, a seminal album will be chosen by a local individual within the music industry and paired with a craft cocktail, along with a stellar dinner deal. 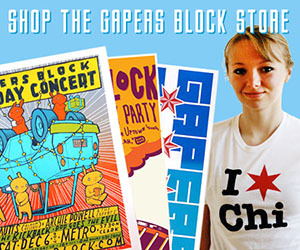 In this week's case, the Gapers Block Transmission team has chosen! 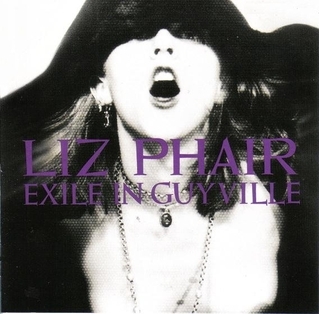 Together, we selected Liz Phair's iconic album, Exile in Guyville. Representative of a quintessential Chicago record, as well as showcasing the niche genre of necessary '90s grunge, Phair's Exile in Guyville inspired the next generation of female singer-songwriters. Arrive at 5:30pm from December 8 - 10 as well as on December 13 to enjoy this album played out in full, complemented by Ada Street's consistently delectable cuisine. The music is paired with a craft cocktail, the Dance Of The Seven Veils, concocted with Lairds Apple Brandy, Rittenhouse Rye, Sweet Vermouth, and Benedictine. Keep in mind, all food ordered at the bar, as well as the featured cocktail are 1/2 price as long as the featured album plays. Ada Street is located at 1664 N. Ada Street. Call (773) 697-7069 for reservations. The front row of any show is reserved for an artist's die hard fans. It's a coveted spot that guarantees at least 10 likes and three retweets for the average social media user. Using proper hashtags generate more feedback, and by sun-up, you'll wake up to an overwhelming amount of IG love and stacks-on-stacks of comments from close friends, frenemies and exes. Now, getting there is only half the battle; the other requires patience. If you're a pro, you know that timing is everything, and Jeremih put his most devoted fans to the test last night with a pop-up show at Double Door to promote Late Nights: The Album, a collection of songs that tell the classic tale of an R&B singer: a hopeless romantic who advantageously flirts with lust in search of finding love. A hallmark of the most successful bands is a willingness and ability to change over time. Art always has a basis in context--whether it be societal mores or the artist's personal life--so for it to remain static suggests an ignorance of the terrifying drip of sand from the hourglass that unites all humanity. That's why artists who change tastefully, like Kanye West and The Beatles, transcend the moment, and that's why Nickelback has fallen so far from grace. Watching The Lonely Biscuits perform at Beat Kitchen last night was an experience in seeing and hearing the process of change. The band is quite young--like me, they graduated from college in May--but they've already gone through a metamorphosis that they put on display for the fifty or so brave souls who conquered the Lazy Sunday vibes and the December chill to come out. Since the departure of vocalist/guitarist John Paterini earlier this year, they've shifted their style radically from the rap-rock hybrid of their early halcyon days to a more straightforward garage-y vibe that stays hard-edged enough not to drown itself in reverb. And in front of a very friendly crowd that was clearly expecting more of the former, the new material worked surprisingly well. Our concert series Stars Align brings together local artists for a unique night of collaboration, and our next session is uniting indie rockers Yoo Soo Kim (Hemmingbirds) and Jesse W. Johnson for one night only. If you like great drinks and great music, you don't want to miss this. 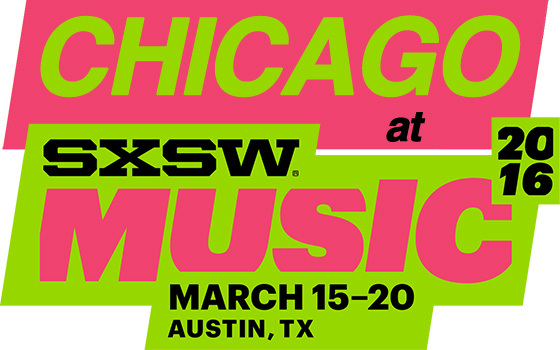 It's a long standing tradition at Gapers Block to report on Chicago-area artists performing at the SXSW Music Festival. Now that the second round of acts for the 2016 festival has been announced, it's shaping up to be a great year for Chicago. The Riviera's stage looked eerily empty with just a keyboard and a microphone set up front and center. A massive, Simba-like illustration of James Bay's face draped the back wall of the stage, indicating the young British singer/songwriter who most of the crowd had come to see. 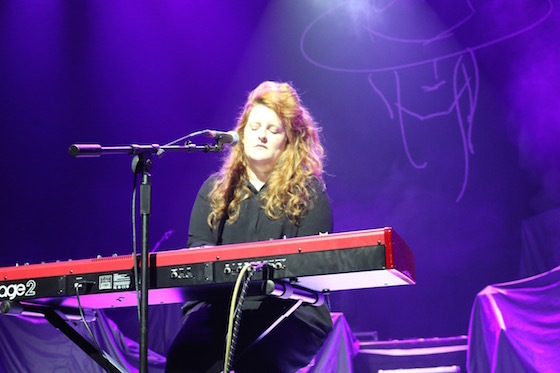 But it was the other young British songwriter opening for him, Frances, who spoke with me yesterday. The 21-year-old is on her first American tour (it's her first time in America, period) and already seems to be on the fast track to success--her most recent single, "Borrowed Time," was co-written with Disclosure's Howard Lawrence, and her standout tracks "Grow" and "Let it Out" have garnered her a wealth of critical praise and the opportunity to work with writers like Jimmy Napes and Iain Archer on her forthcoming debut album. I was interested to see how she'd hold the crowd's attention alone on stage. You may not know Anthony Pavel's name just yet, but soon it will be everywhere. An accomplished producer and musician, Pavel is about to release his original EP, Windows, and just dropped a unique take on Justin Bieber's coveted new R&B pop hit, "Sorry." I chatted with Pavel regarding his artistry, his upcoming release, and what called him to cover a song by the Biebs. What pulled you to cover this top pop and R&B ballad, "Sorry," just following its release? Does this song reflect future qualities of your upcoming album, or did it strike a chord as personally meaningful to you? Bieber has been on a tear lately, making some really great music. It usually takes a bit for a song to really latch on to me and get stuck in my head but this particular song hit me right at first listen. I couldn't stop listening to it and singing along. The song is actually right in my vocal range and it feels really natural to sing the song. I'm a huge fan of taking any good song and flipping it into a cover of my own, and I feel that this cover really does a good job of showcasing my vocal abilities and style! There is something about English folk singer Laura Marling and Chicago that go hand in hand. The two have such admiration for one another, feeding off each other time and time again. Her beautiful and haunting song of lingering love "David" may invoke the West, but was written in the basement of the Athenaeum Theatre in 2013, the same day it made its debut to the world. That moment of inspiration was met with an exuberant response, much like the one Marling received earlier this year when she performed to a sold out Lincoln Hall in support of her latest album Short Movie. The album is a slight departure from the quieter folk she is well known for in favor of a bigger electric sound. Even with the distinct shift in music her songwriting continued to be complex and emotional, which was incredibly evident live. Every moment of the show felt as personal as it could be, bringing the audience in more as friends than a simple crowd.The show was one of the most loving and communal performances I had ever seen live. 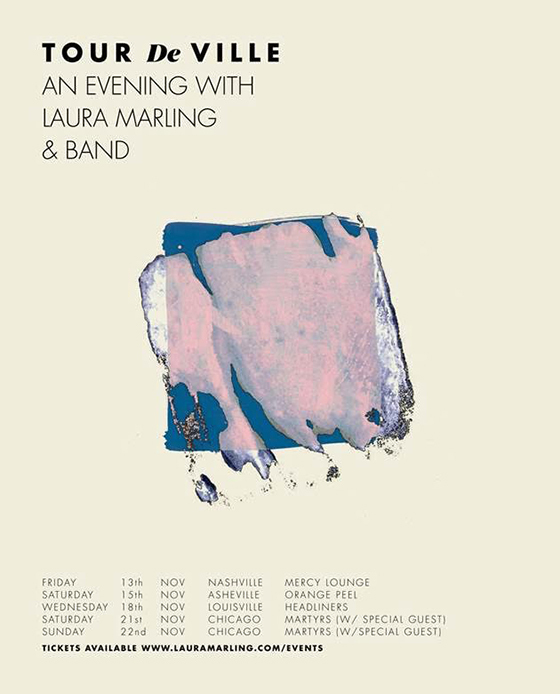 Luckily, Marling will be returning to Chicago and giving us another chance to experience her musical talents.